I have designed some Forest Feast products that are now available at the Umami Mart Shop in Oakland (and also online). Order by Friday and receive them by Christmas. 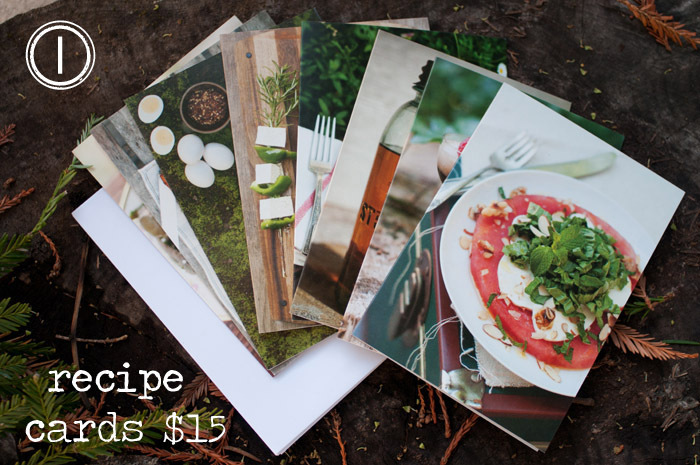 The recipe cards and little prints make great stocking stuffers for foodies! 2.) The Forest Feast mounted fine art photo prints are for sale, various sizes and prices ranging from $25 (5x7") up to $300 (30x40"). To order send an email to: shop@umamimart.com.